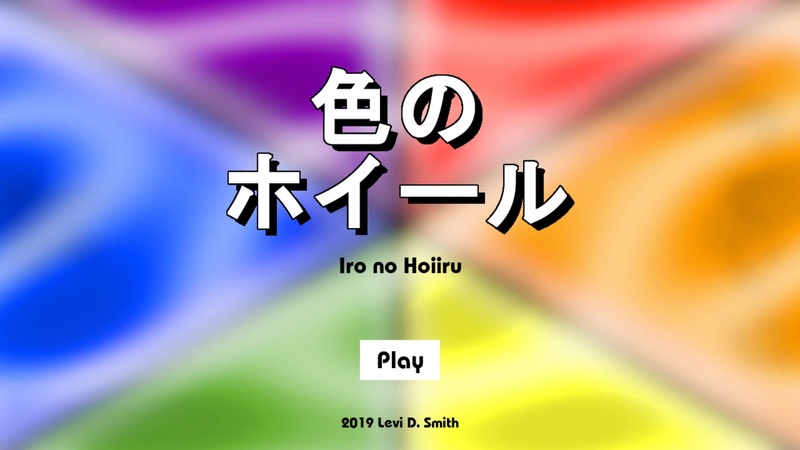 Game submitted for GM48 29th. Made with GameMaker. Theme was “Colors are Important”. 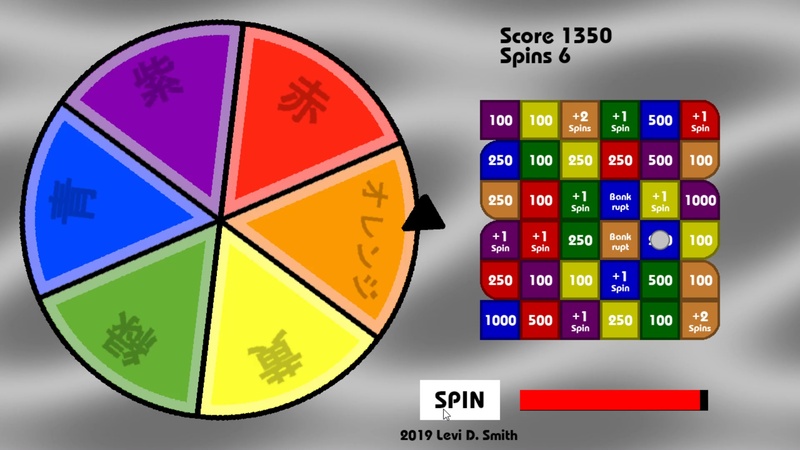 The wheel of color is composed of six colors (aka, orenji, ki, midori, ao, and murasaki). Hold the spin button to adjust the spin power. 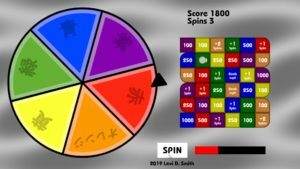 When the wheel stops, your marker is moved to the next color on the board matching the color where the arrow is pointing. 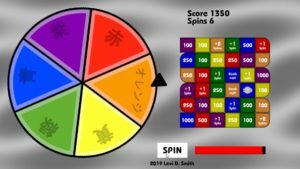 Your marker moves left to right and bottom to top of the board. There are three types of spaces on the board. Numbers represent points, which are added to your total score. 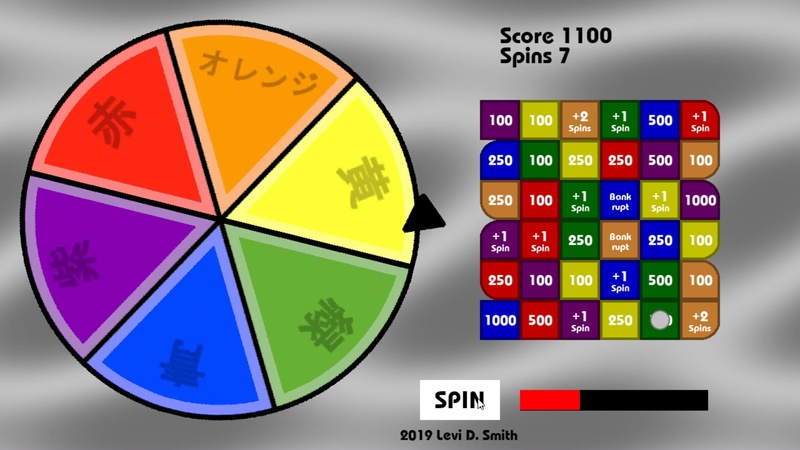 Plus spins give you additional spins on the wheel. 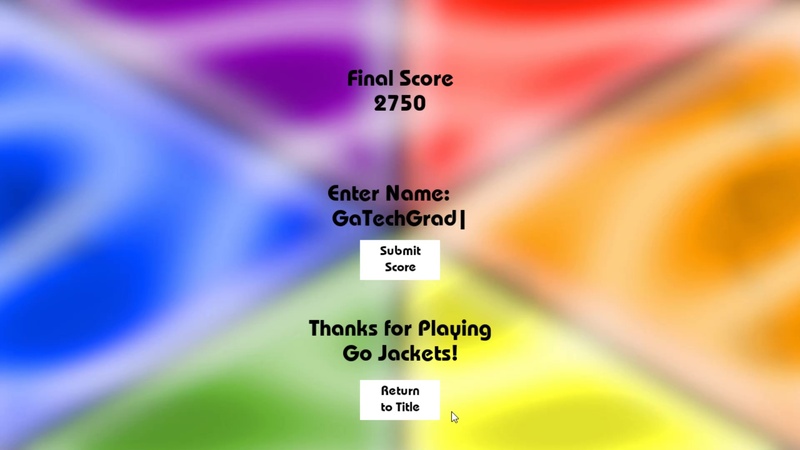 Bankrupt with reset your score to zero. 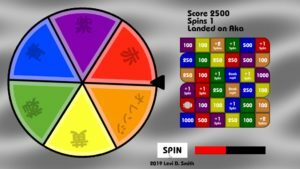 The game board is randomly generated each time, so each game is completely unique.